Hello! My name is Randy Mauldin, president of Jack Quinn Solutions and the founder of Supply Leaders Academy. As a Service Disabled Veteran with 20 years of active duty service in the United States Marine Corps, I know how to train people to accomplish the mission. Having worked my way up through the ranks from enlisted to officer, I know "Failure is never an option," which is why our programs focus on developing you as a strategic sourcing advisor. Our programs not only give you actionable skills, but also prepares you for professional certification that you can use to get better opportunities. Learn more about our programs, then give us a call at 877-680-0494 to discuss your options. At that time I was transitioning out of military service and was focusing on finding an occupation, so there was little time to dedicate to studying for certification. I understood that a CPSM certificate under my belt would speak to my experience and credentials in logistics and supply chain management earned in the military. Obtaining a CPSM certification would tell the world that I was a quality supply chain leader, which is a significant achievement for anyone in supply chain management. For that reason I was determined not only to help myself, but help others, demonstrate professional skills with a CPSM certification. In organizing and creating this course I was determined to help make certification as easy as possible for those who are truly experienced and prepared. Creating a boot camp was the ideal way to present the effective and intense study methods required to pass all 3 exams which are required for certification. Utilizing the techniques and study methods explored in the course it was my goal to make passing the exam easier and faster for all students. Each student should be afforded the opportunity of obtaining certification so that they can maximize their resume and proclaim that they are a supply chain management professional! I will present to you the methods of preparation for the CPSM exams which we instruct and teach each of our attendees in depth at the CPSM Boot Camp. These methods are able to help you become the successful and valuable professional you seek to be to potential employers all over the world. If you feel that you need further assistance or would like to learn some of these study techniques in person we would be glad to welcome you at this year’s CPSM Bootcamp! If you are among the many who cannot join us, we will discuss our in depth study strategies with you here. Good luck and happy testing! Dr. Randall M. Mauldin, USMC (ret), CPSM®, PMP® - President and Founder of Jack Quinn Solutions, LLC, a management consultation firm involved in providing objective advice, expertise and specialist skills with the aim of creating value, maximizing growth, and improving the business performance of clients. Randy leads a team focused on teaching procurement professionals to achieve the highest standard in the procurement career field. Supply chain management is a strategic part of business operations and our training courses develop Supply Leaders who understand all aspects of supply chain management and possess the leadership skills required to implement strategic solutions. Our Supply Leaders help businesses, non-profit, and government organizations improve their supply chain and procurement efficiency with military precision and a "failure is not an option" attitude. Dr. Mauldin founded the Certified Professional in Supply Management (CPSM) Boot Camp for candidates seeking the Certified Professional in Supply Management Certification provided by theInstitute of Supply Management. The CPSM certification consists of three separate exams covering the foundation of supply management, supply chain performance and supply chain leadership. Attendees of this course come from such companies as AARP, Rockline Industries, Harley Davidson, Miller Coors, Brown-Forman, Johnson Controls, and ITT. 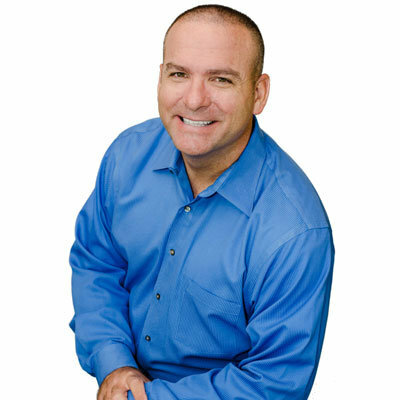 As a dynamic and analytical leader equipped with over 20 years of combined success within various capacities as an Entrepreneurial Consultant and in United States Marine Corps, Randy has provided executive guidance and strategic direction in operations, supply chain management, program management, and logistics. He is an award winning published self-starter with experience building and leading effective multi-disciplinary teams to execute strategy and accomplish organizational goals.